Mobile app development has become an important aspect of many new businesses and the focus of a lot of entrepreneurs. One of the reasons for this is that mobile apps offer a very wide platform to connect with a large audience both locally and internationally. The success of a business in this line of work depends on the kind of outsourcing they get for it. 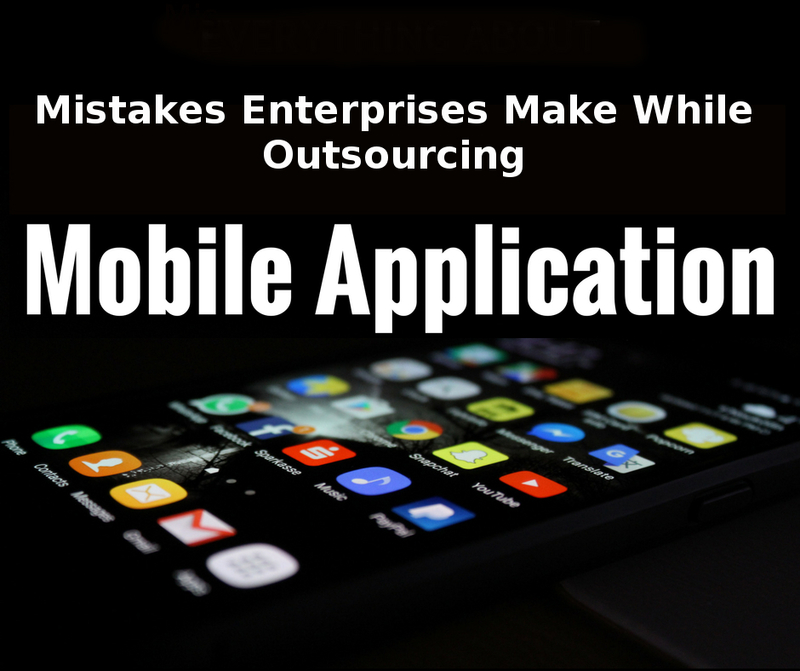 If you are new to this, it’s important to know what kind of mistakes to avoid when outsourcing app development. 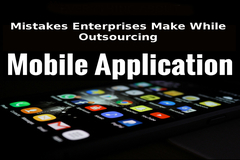 Outsourcing mobile app development is a crucial decision that will have long-lasting consequences on your business operation, which is why you shouldn’t rush any decisions regarding it. Massive changes like this require time and patience to execute. There are a couple of questions you have to ask yourself before making changes. It’s vital that you get an adequate development team, so where will you find them? What kind of budget do you have in mind for this project? How would you approach your new team with an idea for app development? These are just some of the more essential things you have to worry about before making any hasty decisions. Analyze each and every part of your projects. Sometimes, your app development team will send you an estimate or quotation of the project and it’s important that you don’t jump into it immediately. Start by comparing it with others before making your final call. If the company provides post-release support, what do they charge for all the different features and functionalities? Take into consideration the added benefits and facilities the company you want to employ has. No business can get by without proper channels of communication. You’ll find this to be especially true when hiring the services of an app development company. If you outsource your business, this is just as important. App developers and designers have to be absolutely sure that they know what you want your app to look like. Various problems arise when there is a hurdle in the communication between management and development teams. Sometimes, the development team takes their own decisions into action without consulting or seeking the approval of the client. On the opposite side of the spectrum, the client can be uncooperative as well. They might not be interested in consulting their app team or keeping in touch with them. Language and culture are important things to watch out for when outsourcing work. It’s simply not practical to hire yourself a translator for the work, so try keeping these differences to a minimum. If there is a barrier in the form of language differences, there are ways to compromise. Start with small interactions like talking over Skype or video chats. Keep in touch at regular intervals and make sure you explain everything adequately. App development is a global industry that spans every time zone. You are free to pick any app development agency, no matter where it is. Location isn’t exactly a constraint in this line of work. Sometimes your premier choice will be an agency that is half the world away. It’s not unusual to hear that a business in the USA hired an app development agency in Australia. If you do this, there are a couple of things to take into consideration. People aren’t nocturnal creatures, the teams in question have to sleep once in a while. This can lead to some problems. Budget is one of the most important factors when outsourcing development of an app. Hiring a company to do the work will require a certain amount of money set aside, but you need to take into account how much you are willing to sacrifice. Small business owners and startups aren’t always in the clear when trying to find the proper agency to do the work. If you’re running on a tight budget, it might be tempting to give up a certain level of quality for cheaper work. There are some companies that will send you low-cost quotations but these often come without a guarantee of the quality of work offered. It probably isn’t worth the loss in quality, so it’s best you pick a company with a great track record of app development instead. Search engine optimization is an essential part of building any modern website or app. It’s important to note that there is a difference in algorithms used whether it's a website or application. The keyword rankings for an app won't be the same in the app store and in a Google search. Applications use what is called app store optimization, also known as ASO. There are lots of similarities between app store optimization and search engine optimization. If your app is ranking high on one, it's very likely it will rank high on the other. When communicating your ideas to your app development team, it’s important that you emphasize the importance of proper SEO. You want your app to top the charts when people search for something. Proper optimization isn’t as easy as just inserting the right words, there’s a whole process to it. Ranking high up for your business’ keyword might require external help. For this people often turn to get marketing consultancy from quality professionals. GWM SEO is one of those firm whose professionals are very skilled in all marketing aspects. When done right, your app will be the first to pop-up when searching for relevant terms in the business. This is a common mistake that any business can make. Sometimes you envision a concept but you don’t communicate your goals to the team properly. No matter how talented they are, the development team can’t possibly read your mind, which is why you have to give them the details of what you want to achieve with the app. Sometimes, the app will have unnecessary elements and functionalities that it doesn’t require. For you, this represents a waste of time and money that could have been spent making the app better. The app itself is an important thing to focus on, but there are other pressing matters you have to discuss with your app development team. Project deadlines are one of the most important aspects of doing this kind of business. If they aren’t keeping up with your requirements, it might be wise to search elsewhere for future prospects. On your end of the bargain, payment conditions have to be discussed. You have to set a time table for when the team is going to get paid for their work, and in how many increments it’s going to be paid in. Mobile app development has taken the world by storm these past few years. There is a massive playing field for developers in both Android and iOS. Every need you could have now has an app for it. If a business is to thrive, it’s important that it gets the best possible outsourcing for the development of their app. Know what to avoid and your business will come out on top.